Lyrical dance has a relatively recent history and a genesis based on the coming together of ballet, rock, a variety of jazz dance and modern dance, and to a lesser degree, punk and swing. It is mainly performed to music with lyrics, and the song’s lyrics are a driving force and key inspiration for the movement. Choreography is often emotional, gripping, and exquisitely delicate, all at the same time. Lyrical dance gained its name not because the lyrics of a song are sometimes highlighted over the rhythm, but because of the meaning of the word lyrical: having a poetic, expressive quality; musical; characterized by or expressing spontaneous, direct feeling; expressing deep personal emotions or observation; highly rhapsodic or enthusiastic. Lyrical dance is expressive, subtle and dynamic, expressing emotions through movement. It is a combination of intricate, highly technical, and pedestrian/naturalistic moves. Lyrical dance is often choreographed to a song about freedom, of releasing a sad emotion, or of overcoming obstacles, but can be choreographed to any human emotion-related song. Depending on the given song and choreography, a lyrical piece may or may not be graceful, but will always be expressive and unpredictable, particularly in comparison to ballet and other jazz pieces which may have a more presentational quality. A solid, ballet-based technique is an essential component of this style of dance, as is a facility with various other forms of jazz, some contemporary dance, and proper placement and bodily alignment. However, lyrical choreography is often peppered with intentionally pedestrian moves to create a simultaneously organic and dramatic feel. Lyrical is based around choreography and the interpretation of the music. Routines are based around feeling and emotion and, though technique is crucial, spirit generally tells where the dance will go. Musically, the choreography accentuates and/or flows in synergy with a song’s climaxes, but the choreography will also bring out the more nuanced aspects of a song: sometimes a silence between notes in the music, or the breath between words, will be emphasized, possibly with a simple, physical gesture. This may be followed, for example, by a more complex sequence, such as a triple pirouette en cou-de-pied (coupe), or a grand jete, or a series of chaine turns, followed by a cabriole, descending to the floor, only to rise again and perhaps very casually to walk downstage for a few counts before changing direction once again. Movements in lyrical dance are characterized by their fluidity and grace. Leaps are often executed high, with a soaring quality; turns are airy and flowing. However, in lyrical dance, sometimes less is more. A de-emphasis may provide a more compelling window into a dancer’s emotions: a succession of quick, small leaps may be executed low, displaying the ever-evolving traces of a dancer’s internal landscape. When the music’s tone is angry or frustrated, dancers use sharp, short movements. Anger is also an emotion seen in lyrical dance. In routines with a strong component of anger, it is common for the jazz portions and styles of lyrical to come out. However, a lethargic, drawn-out quality of movement may show a contemplative or hesitant feeling. When the routine is joyful or peaceful, dancers use lighter, more flowing movements. Of paramount importance in lyrical dance is the continuation of movement, flowing quite seamlessly from one move to the next. The dancer does not simply “finish” a move and be done. A lyrical dancer holds out the move for as long as possible, and has smooth transitions between others. Employing this connectivity of movement, the dancer may periodically stop or incorporate “sharp” moves (such as an abdominal contraction, a sideways glance, or a leg flick) into a fluid routine, for emphasis. In all, the moves are connected to one another, to the dancer’s feelings and to the music. 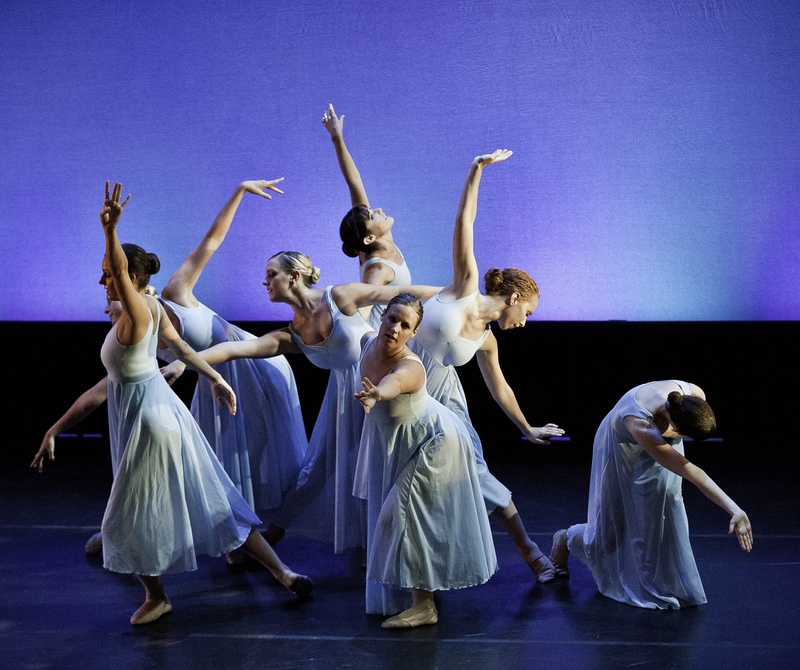 Although lyrical is stereotypically choreographed to music that is slow or downbeat, melodic and sweet-sounding, it is a very broad form of dance including many dynamic, fast-paced and sometimes strong pieces. Upbeat, aggressive styles of music are used frequently. Music can be of any genre; pop, rock, and even hip hop/R&B styles, are popular for choreographing. Pop selections, including soulful, powerful songs by emerging artists, are often used in lyrical dance.